It's been a long time since a book has made me physically gasp. But that's what happened repeatedly throughout Zoje Stage's Baby Teeth -- so much so that my husband kept asking me if I was reading "that darn book again." Combining the very best elements of all the "creepy child" movies you've ever seen, Baby Teeth alternates the telling of the story between Hannah, the child, and Suzette, her mother. Suzette stays at home with Hannah all day while her husband, Alex, works. Suzette homeschools Hannah since she is repeatedly told by every school that it is just not the right facility for her. Hannah does not speak, but whether it is by choice or not is determined later in the book. 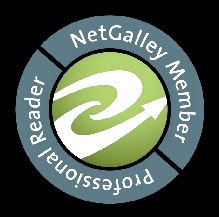 What the reader DOES find out right from the beginning is that Hannah hates her mother and wants to get rid of "Mommy" so that she can have "Daddy" all to herself. This in itself is terrifying, but the ways in which Hannah's little mind is able to think up ideas and then act on them is what truly makes it horrifying. The dichotomy of Stage's writing between innocence and evil makes this book immensely scary. Hannah's chapters are written just like a child would think (Mommy and Daddy, love of bedtime stories, etc.) so the reader is lulled into the sense that this is just a normal child. Then when Hannah's thoughts and actions go abruptly to the dark side, it packs quite the punch. 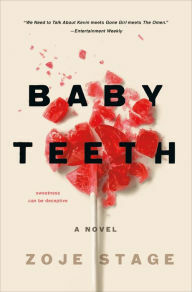 I found Baby Teeth unputdownable.